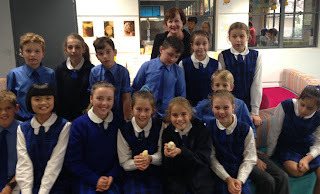 It has been a delight to observe the wonder and excitement in the children this week with the arrival of the chicken eggs as part of their lessons in STEM. Throughout this week the children have been drawn like magnets to the incubator watching the baby chicks emerge from their shells. Such engagement clearly proves the importance of developing this love of nature by providing opportunities for children to experience this type of learning. The teachers have captured these precious moments and directed the children to compose poems, narratives and beautiful art work for all to enjoy. We have truly been using our inspirational voice this week! Stage Two Building Project is progressing along as planned with the architects working towards obtaining a construction certificate to commence the building works. Currently there are four builders who are putting in a tender for the project and this process should take up to approximately six weeks to complete. Work will also commence on the demolition of the presbytery garages to allow for the installation of the demountables as soon as the construction certificate has been obtained. We will notify all parents once this documentation has been approved and the construction is ready to commence. This week we will also share the new Sydney Catholic Schools Parent Charter for your perusal. This document has been produced to support parents in their role as the primary educators of their child. It provides parents with the principles and expectations that underpin the partnership between parents and schools. It is an important touchstone for all partners in Catholic education, to help build school communities based on the enduring values of faith, hope and love. I would like to thank all families for their patience around the operation of the online canteen facility. We are currently organising for Qkr to be used at La Tazzina to assist parents with the ordering of student lunches. We will let you know when this system is ready to go, but in the interim lunch orders will come through the school.